Spray jello shot mold with baking spray. Wipe the excess with a paper towel. Place molds on top of a baking sheet. Pour lemon gelatin into a medium sized bowl. 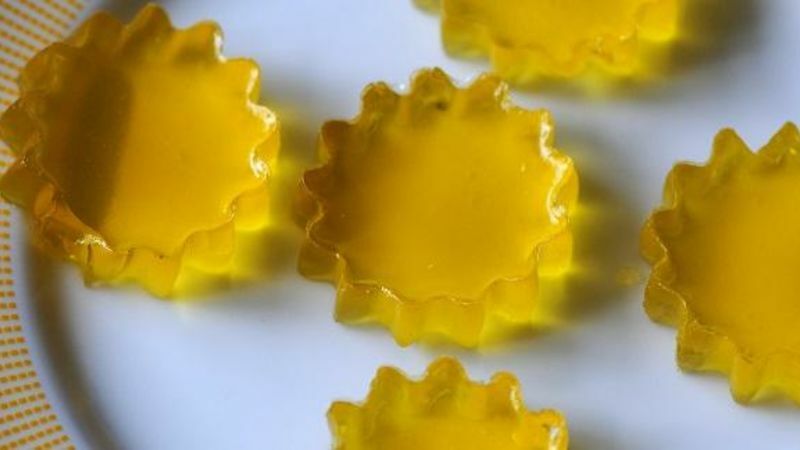 Add 1 teaspoon unflavored gelatin to help the jello shots keep their shape. Boil one cup of water and pour into the bowl. Let sit for 2 minutes. Whisk until the gelatin has dissolved. Add the brandy or cognac, limoncello and the orange liqueur. Pour into prepared molds. Let set in fridge for at least 2 hours.